It is important to regularly service your car, because in the long term it can save you time and money by extending your cars life. With regular servicing, a small problem with your vehicle can be found, and dealt with, before it turns into a more serious issue. 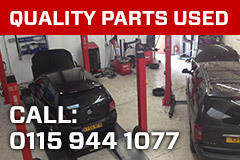 There is no better garage to visit, regardless of vehicle make, than the Vauxhall Repair Centre. Our brand new, state-of-the-art facility is thoroughly equipped, and services such as diagnostic testing and laser 4 wheel tracking are used to ensure your vehicle is serviced to the highest standard. Services start from just £55, so give our devoted team of experts a call today! Arrange a service to ensure any problems are dealt with by our specialists, whose experience and skill ensure that your vehicle will receive the greatest care, attention, and standard of work available, guaranteed by the Alliance Service Network. 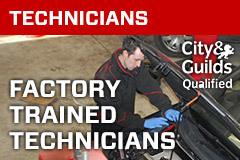 Get in contact if you want your vehicle serviced, and let our specialists service your car. Whether it's petrol or diesel, old or new, any make or model, The Vauxhall Repair Centre are the right choice for price, quality, as well as our range of services and expertise!